For a successful membership site, you need to know some Profitable Topics & Ideas for sites. 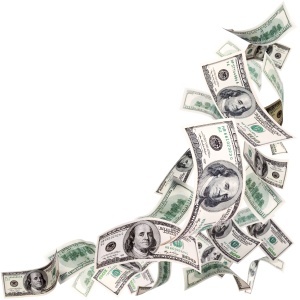 Membership Sites are a great way to make money online. A successful membership site will have visitors returning to your site often, logging in and using your site, even on a daily basis! For your site to be ‘sticky’ meaning people return often, you’ll need a great idea for your membership site. #1: Money Making Sites – Anything to do with making money online. A lot of people want to make extra income online, so creating a membership site based around making money online is a great idea for a membership site. #2: Health & Fitness – Health and fitness is an evergreen topic online as most people want to improve their health and keep fit on a daily basis. Tips, tricks, articles for staying fit could be the content for your health and fitness membership website. #3: How to grow a Business – Your membership site could contain information about growing a certain type of business. Provide value with tips and tricks, advertising resources and more content to keep them interested. #4: Hobbies that people are passionate about – People are willing to spend money on their favorite hobbies. Choose a particular niche hobbie topic and create a membership site based around that hobbie. Eg, fishing, learning guitar, wind surfing etc. #5: Sell Advertising and Account Upgrades – Google, Facebook, YouTube all make millions of dollars from advertising on their sites. Imagine owning a small piece of online real estate that you can sell your own advertising and account upgrades through a membership site. 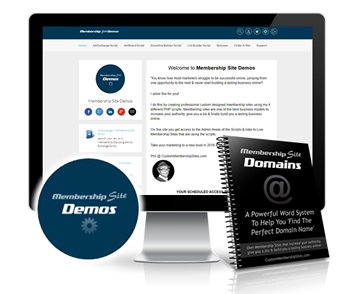 Check out the membership site scripts below that have built in profitable sales funnels, advertising system plus a ton of other cool tools and features that your members will love! These scripts and sites are complete businesses that can finally earn you an income online.